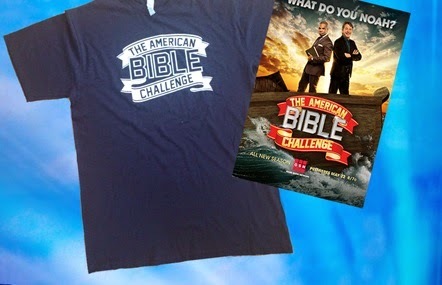 The American Bible Challenge Giveaway! The American Bible Challenge is a fun-spirited game show that celebrates the Bible, its teachings, relevance and place in American culture. Join us in watching the largest selling comedy-recording artist in history, host Jeff Foxworthy as he explores the humor in everyday family interactions and human nature. You can watch The American Bible Challenge on Thursdays at 8pm on Game Show Network. Disclaimer: Only one entry per mailing address per giveaway. The prize will be sent via FedEx or UPS. No P.O. Boxes please. This contest is from Mind on Movies working with Game Show Network and The American Bible Challenge. The entries will be checked via Rafflecopter. You must do what it says on the Rafflecopter option to enter to win.